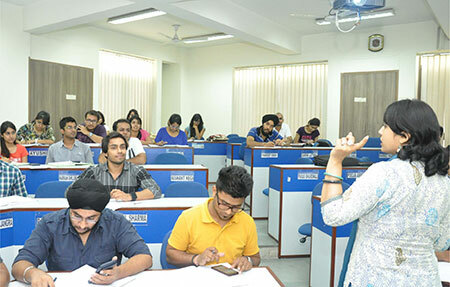 FIIB boasts of a conducive learning ambience through its world-class infrastructure and state-of-the-art technology interface that complements the physical infrastructure to enhance the teaching and learning experience at the college. 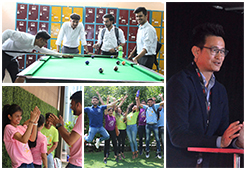 The PGDM college continuously invests in upgrading its technology and facilities to provide the college graduates with an inspiration to strive for excellence and scale greater heights. 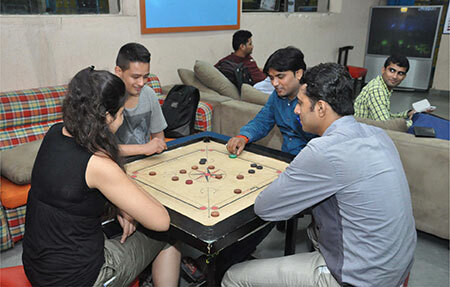 FIIB’s campus, located in South Delhi, is an aesthetically designed, modern building that provides a youthful and stimulating learning environment. To foster a comfortable learning environment, air-conditioned classrooms and several reading and syndicate rooms have been built. These Learning Centers are equipped with modern multi-media and audio/video systems. 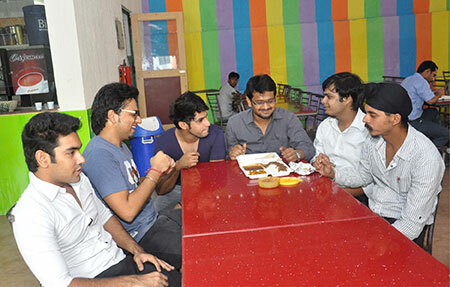 The college campus is Wi-Fi enabled with appropriate security mechanism. 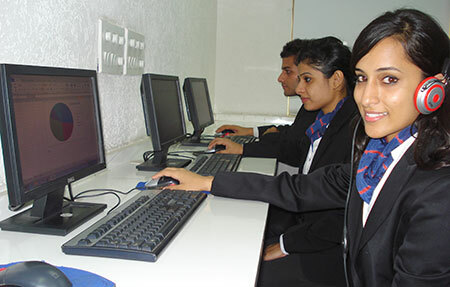 Online learning and teaching software is also provided for flexible access to learning material at all times and to continuously track progress..
A fully computerized and air-conditioned Knowledge Resource Center housing books, periodicals/journals, audio-visual and multimedia formats is available for students to access and learn from. 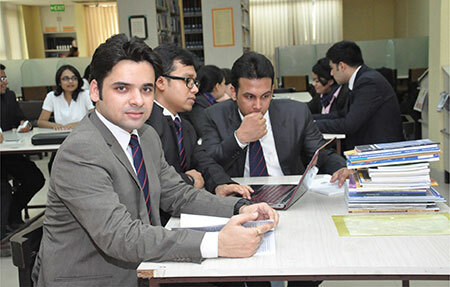 Library subscribes to major online research and informational databases including EBSCO and CMIEProwess; and enjoys Institutional membership with other major libraries including DELNET, AIRC, BCL and Max Mueller Bhawan. 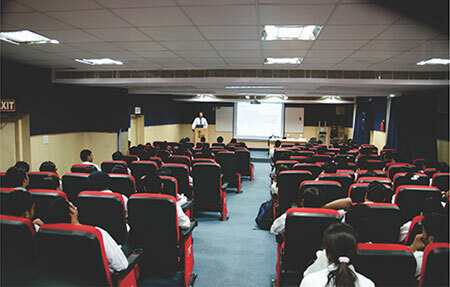 The college’s state-of-the-art auditorium can seat over 150 individuals and has provisions for video conferencing along with other modern technologies. 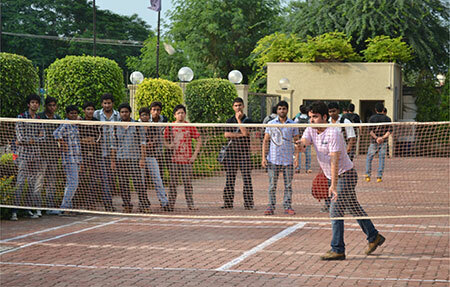 Students can enjoy the provision of multiple conference and seminar halls if required. 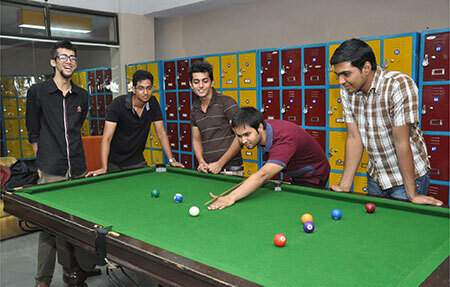 The elaborate student recreational center, has arrangements for various indoor sports like pool, table tennis, carom and chess in an easy atmosphere.